Today I want to share with you a little bit about a brand called Rock Bakehouse, who do cake baking courses and cake supplies. I am always keen for featuring brands on the blog that showcase the best of British in terms of products and their online shop is an absolute haven for an amateur baker like me so was a perfect fit. I am going to be talking about the cake supplies today, however if you would like to check out the baking courses side of their business pop over here. 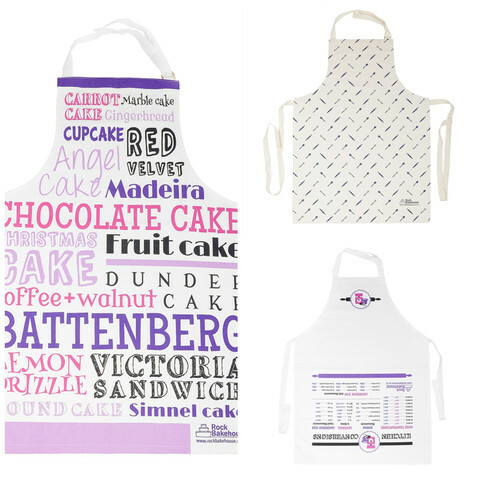 The first things that stood out to me were gorgeous print/typography aprons which look so cute with the girly colours and are all 100% premium cotton. 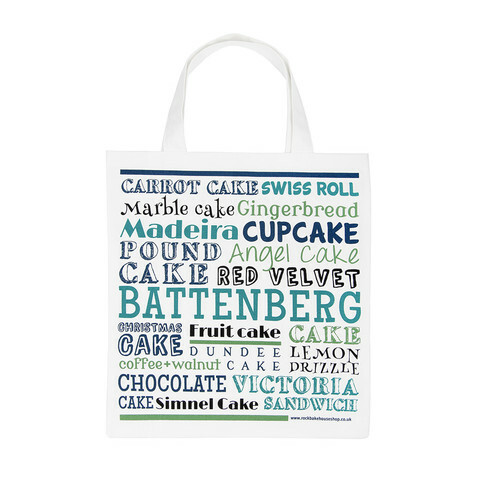 There are also canvas bags that you can use for popping to the shops, in the same cake themed typography and also the victoria sponge recipe I'll show you below in tea towel form. Then there are super cute tea towels* which come in all sorts of different designs of cake recipies! I thought that was such a cool idea and the tea towels look very kitsch and vintage style, perfect to drape over your oven door handle for display. In fact you could even go a step further and put it in a frame as a gift for a baking enthusiast friend or family member, I think that would be such a sweet present. The one I received above is in the victoria sponge variety and when I get round to making one as per the recipe I'll be sure to show you guys! Let me know in the comments below if that's something you would like to see. Rock Bakehouse also do a selection of cards and kitchen gloves in their online store so definitely have a browse around if you're looking to jazz up your kitchen as there is a nice variety of bits and pieces that all work really well with each other and keep to the overall theme. Let me know what you think of the products and if you liked this baking/cake themed post.